What is the Senior Class Gift Campaign? An opportunity to join together as a graduating class to help support, enrich, and enhance the experience of current and incoming students. Generations of QC alumni, friends and staff have provided financial support that has contributed to student success at QC. 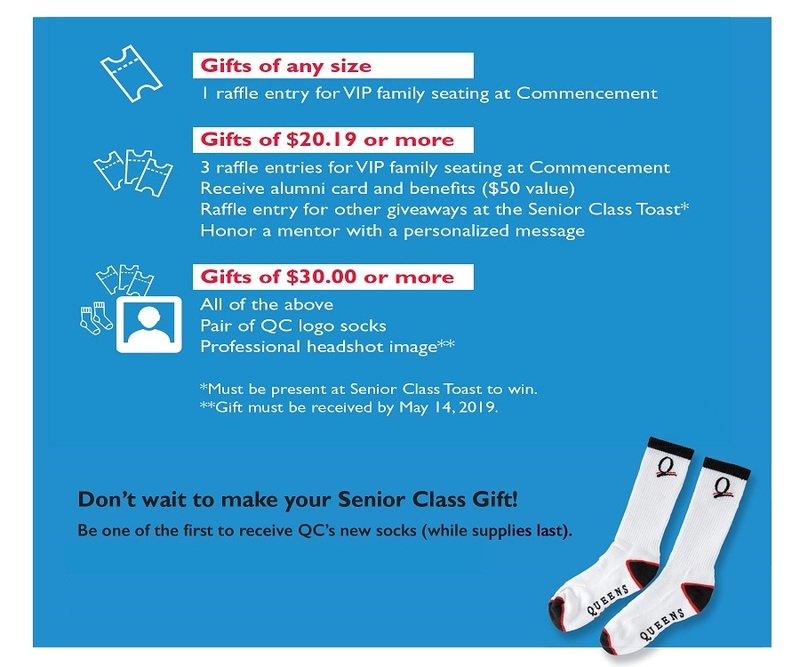 The Senior Class Gift Campaign is your chance to continue the tradition of giving back. Your gift will also help a rising senior complete their education through the Senior Legacy Scholarship. 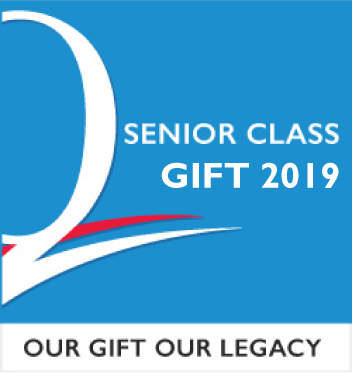 We encourage you to consider making your first gift to Queens College in honor of your Class of 2019. Show School Pride- Giving helps to sustain and improve QC’s reputation, and in turn, the value of your degree. 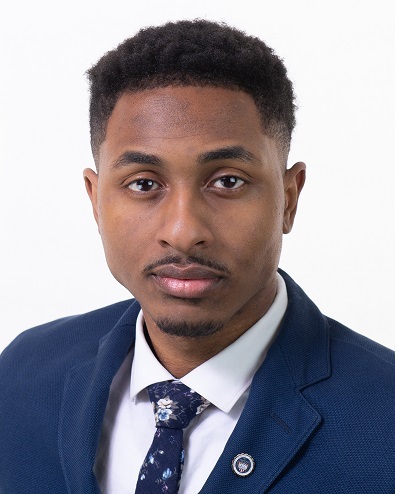 Pay it Forward- Your gift will also help a rising senior complete their education through the Senior Legacy Scholarship. Leave Your Mark- Leave behind a lasting legacy for your class, and take your first step in being a proud alumnus/a. Learn more about the Alumni card benefits, and how to Honor-a-Mentor here.